Kingston, Ontario, is a fun little city located midway between Toronto and Ottawa, mixing grand historic buildings with funky restaurants and a laid-back university town vibe (it’s home to the well-regarded Queen’s University). Some of the city’s historic structures are now inns or B&Bs. Whether you’re visiting Kingston for business at the university or elsewhere, or if you’re just exploring the area, one of the nicest, and best managed, places to stay is the Rosemount Inn and Spa. 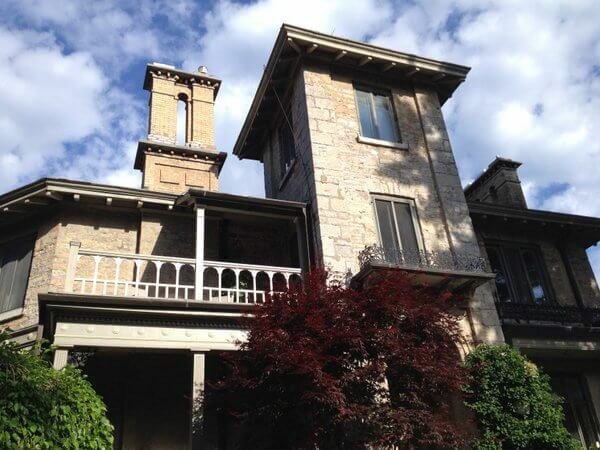 Housed in a stately stone villa built in 1850, the Rosemount Inn is a traditional B&Bs, where guests are encouraged to meet, mingle, and share their travel experiences. During my recent stay at the Rosemount Inn, I arrived just in time for afternoon tea, which staff serve daily — with fresh-baked cookies or other treats — in the inn’s spacious parlour. The Rosemount Inn takes the “breakfast” part of its bed & breakfast accommodations very seriously, too, offering a multi-course hot breakfast in the formal dining room. 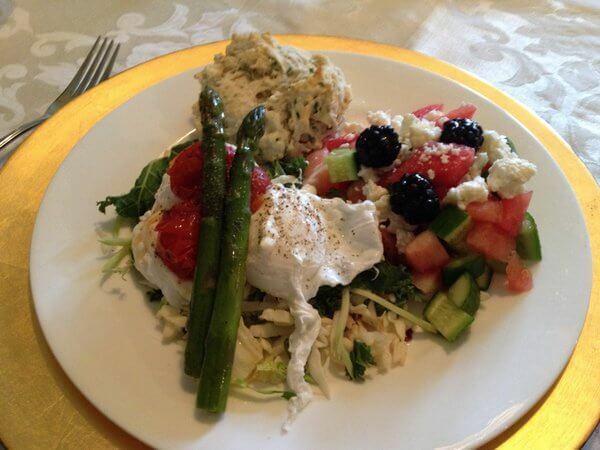 I especially enjoyed the fresh watermelon and feta cheese salad that accompanied my eggs and freshly baked scones. 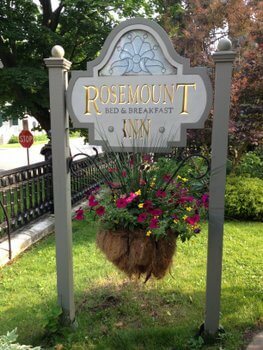 The Rosemount Inn has nine rooms on the first and second floors of the main inn and two additional suites in the adjacent carriage house. The rooms’ furnishings are all different but include features like four-poster beds, wingback chairs, oriental rugs, and leaded glass windows. The carriage house units are more modern. I stayed in the smaller (but still spacious) of the two, with a iron-framed bed and a comfortable sitting area. The larger unit is a two-level suite, with a living space on the main floor and sleeping area above. Wi-Fi is free and available throughout the property. Parking in the driveway in front of the inn is also free. If you’re a porch person, the inn has a lovely one, overlooking the front gardens. 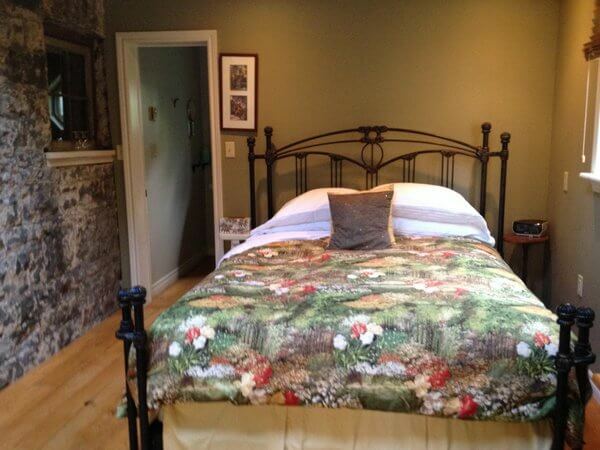 Double room rates, including afternoon snacks and a full breakfast, start at CAD$175 per night. 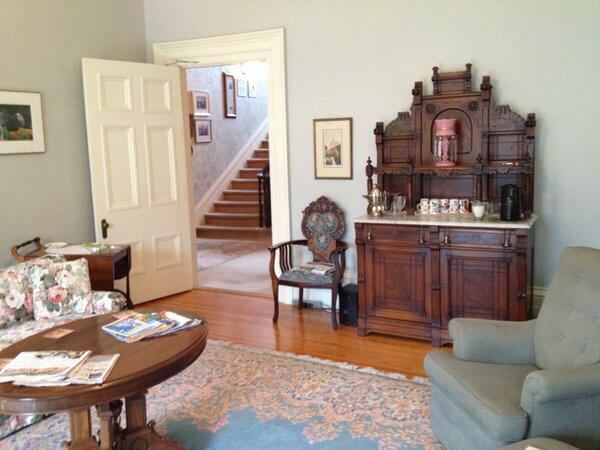 The Rosemount Inn is set on a residential street a short walk from downtown Kingston’s restaurants and attractions. Many visitors start their Kingston explorations at the helpful tourist information center, in the town’s former train station. 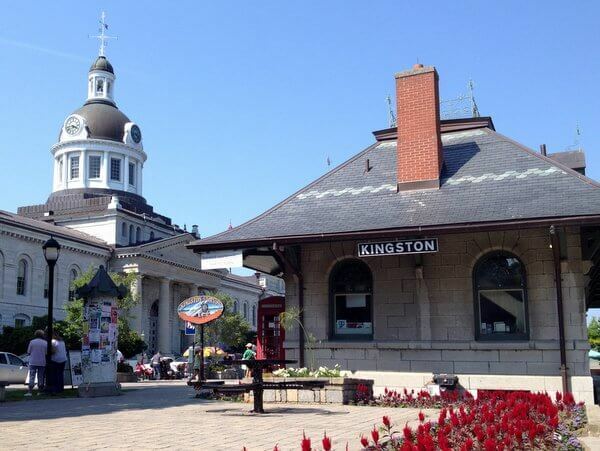 Opposite the visitor center is another grand building: Kingston City Hall. 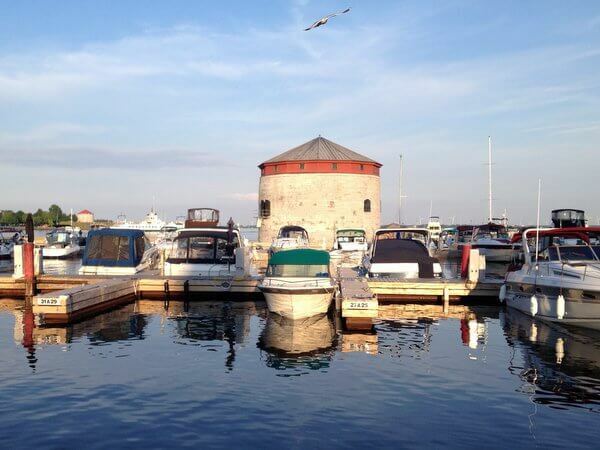 This National Historic Site, which you can visit on a free guided tour, dates back to the 1840s when Kingston was Canada’s first capital city. On the other side of the visitor center is Kingston’s waterfront, where you can board tour boats to explore the harbor or head out to the Thousand Islands. History buffs — or families traveling with kids — will also want to visit nearby Fort Henry, an 1830s fortification overlooking the city, where costumed interpreters portray soldiers and other period residents of the Fort, which once protected Kingston and the historic Rideau Canal. One of Kingston’s most unusual attractions is Canada’s Penitentiary Museum, housed in the former residence of Kingston Penitentiary’s warden. A fascinating, if rather creepy, highlight is the “punishment room,” which displays various disciplinary measures that recalcitrant prisoners faced over the years. Fortunately, back at the Rosemount Inn and Spa, the only thing you might have to discipline is your appetite, since there’s always one more cookie waiting just for you. Hotel review by Vancouver-based travel, food, and feature writer Carolyn B. Heller, author of the books, Moon Handbooks: Ontario and Living Abroad in Canada. Photos © Carolyn B. Heller. 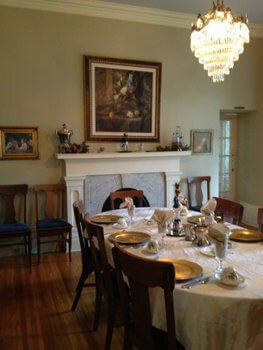 The Rosemount Inn, in partnership with Tourism Kingston, hosted my stay for review purposes.